Motown may have been “the sound of young America,” but this song was clearly aiming for an older audience. 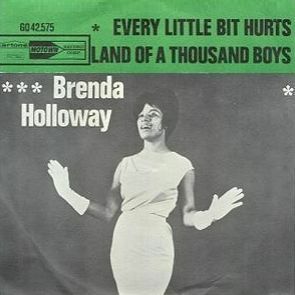 Lee Cobb’s writing is obviously influenced by the Burt Bacharach/Hal David team, but Brenda Holloway’s pristine, nuanced delivery elevates the song above imitator status. Her restraint is the key – Holloway trusts the melody and structure will carry the song further than her lungs. She was right. Although the style is closer to supper club than street party, Holloway and Cobb inspired a legion of artists to take it on.